(MENAFN - The Conversation) Australia has been described as the 'front line of the battle for climate change adaptation', and our farmers are the ones who have to lead the charge. 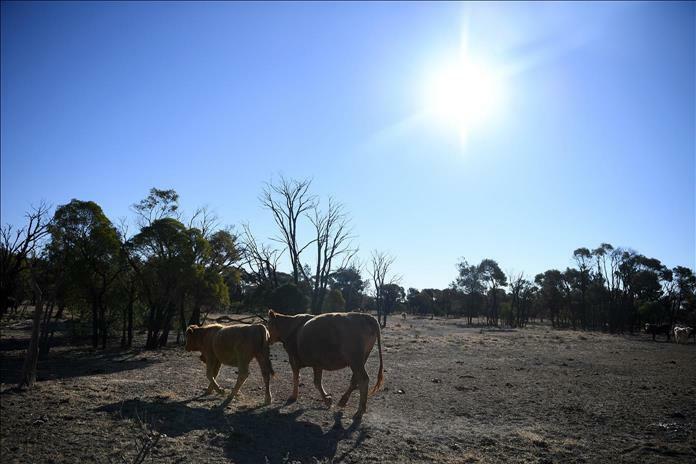 Farmers will have to cope, among other pressures, with longer droughts, more erratic rainfall, higher temperatures, and changes to the timing of seasons . Yet, puzzlingly enough to many commentators, climate denial has been widespread among farmers and in the ranks of the National Party , which purports to represent their interests. Back in 2008, only one-third of farmers accepted the science of climate change. Our 2010-11 survey of 946 irrigators in the southern Murray-Darling Basin ( published in 2013 ) found similar results: 32% accepted that climate change posed a risk to their region; half disagreed; and 18% did not know. These numbers have consistently trailed behind the wider public, a clear majority of whom have consistently accepted the science . More Australians in 2018 accepted the reality of climate change than at almost any time, with 76% accepting climate change is occurring, 11% not believing in it and 13% being unsure. Yet there are signs we may be on the brink of a wholesale shift in farmers' attitudes towards climate change. For example, we have seen the creation of Young Carbon Farmers , Farmers for Climate Action , the first ever rally on climate change by farmers in Canberra, and national adverts by farmers on the need for climate action. Since 2016 the National Farmers Federation has strengthened its calls for action to reduce greenhouse emissions. There are many factors that influence a person's denial of climate change , with gender, race, education and age all playing a part. While this partly explains the attitudes that persist among farmers (who tend to be predominantly male, older, Caucasian, and have less formal education), it is not the full story. Whether farmers do or do not accept climate change, they all have to deal with the uncertainty of weather – and indeed they have been doing so for a very long time. The question is, can we help them to do it better? Given the term 'climate change' can be polarising, explicit climate information campaigns will not necessarily deliver the desired results. What farmers need are policies to help them manage risk and improve their decision-making . This can be done by focusing on how adaptation to weather variability can increase profitability and strengthen the farm's long-term viability.